The Whittaker Creek Yacht Harbor Marina, located at the very edge of Whittaker Creek and the borders of the Neuse River, may be just one of many marinas found in the small but intrinsically coastal town of Oriental, but it's also one of the most accommodating and conveniently located in the region. With a fantastic locale that's literally yards away from the open water, passing mariners in need of a rest, or local boat lovers who require a full-time home for their vessel, will find that the Whittaker Creek Yacht Harbor offers much more than just a pretty landscape that's bordered by open water vistas and gorgeous sunsets seven days a week. 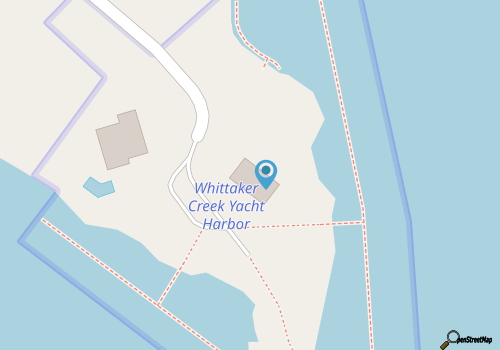 Whittaker Creek Yacht Harbor Marina is located at the edge of a small slip of land, at the end of the appropriately named Whittaker Point Road. Though the locale is slightly out of the way, the main town center of Oriental can be found within just a few minutes' drive from the docks, and is located just southwest of the marina's location. Because of this geography, and because of Whittaker Creek Yacht Harbor's subsequent proximity to the main roads that lead to New Bern, Beaufort, and Cedar Island, the marina boasts an exceptionally convenient location that's within an hour's drive of the Cape Lookout area's most notable attractions. Of course, the big draw to any docking and launching site is the water access, and Whitaker Creek Yacht Harbor has a prime placement in this arena as well. 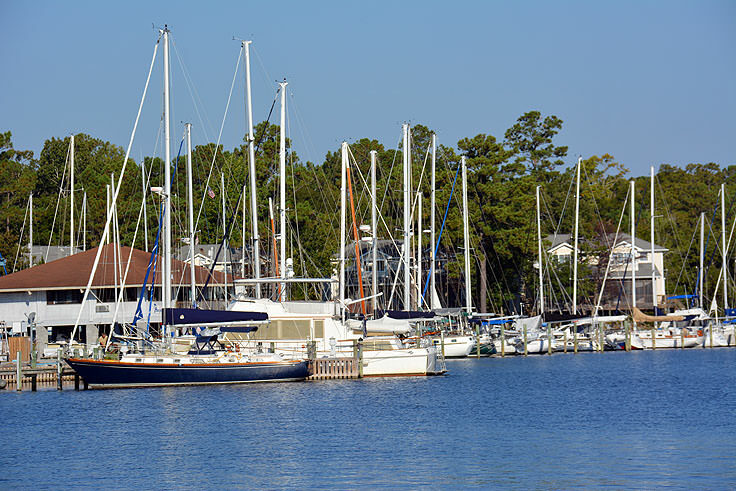 Sitting pretty along the borders of the Neuse River, from this marina mariners can very quickly access the Intracoastal Waterway (ICW) as well as the Pamlico Sound, and essentially, the gorgeous barrier island beaches of both the Cape Lookout Seashore and the southern Outer Banks. 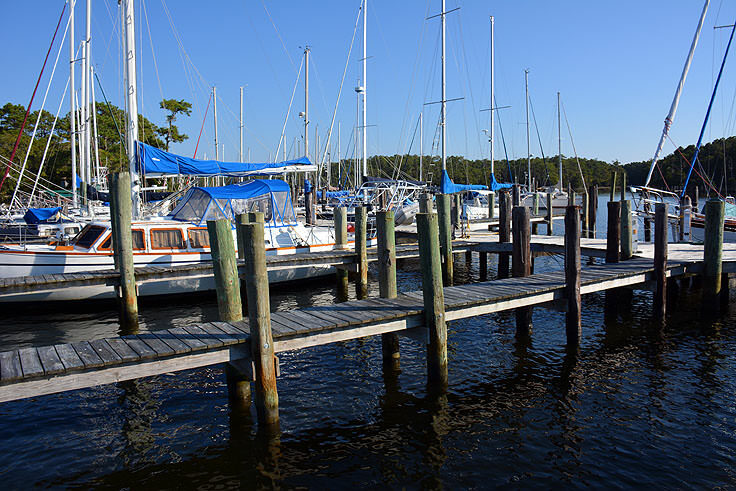 Beach-loving mariners agree that location is everything when it comes to exploring the watery regions of coastal North Carolina, and when it comes to location, this little Oriental marina is certainly hard to beat. Whittaker Creek Yacht Harbor Marina itself is more than just a sound destination to dock and launch, it's also a well-established marina that boasts plenty of amenities for its patrons. There are approximately 140 transient boat slips at the marina, all surrounding the small peninsula along Whitaker Creek, which generally run around $1.00 per foot per day. Monthly marina slips users are charged around $11.50 per foot, while annual rates run about $114 per foot. The rates do include access to all of the marina's facilities, which include 30 amp and 50 amp AV power, (and twin 50 amp service is also available), public restrooms and shower facilities, and the community's seasonally open swimming pool, which offers unparalleled views of the Neuse River waters in the background. Pets are also welcome at the marina, and folks passing through on a coastal exploration will find veritably everything they need just a stone's throw away from the marina's facilities. A local supermarket is located close by, as are an assortment of motels, restaurants, and bars for a night out off the water, and on the town. Courtesy bikes are provided on site, and a nearby national car rental company can also pick-up onshore passengers for a further exploration of the coastal region. Whittaker Creek Yacht Harbor Marina also offers service and repair for patrons, as well as friendly staff, (including the marina owner), who are happy to point newcomers in the right direction for supplies or a well- deserved vacation and rest on the dry land. 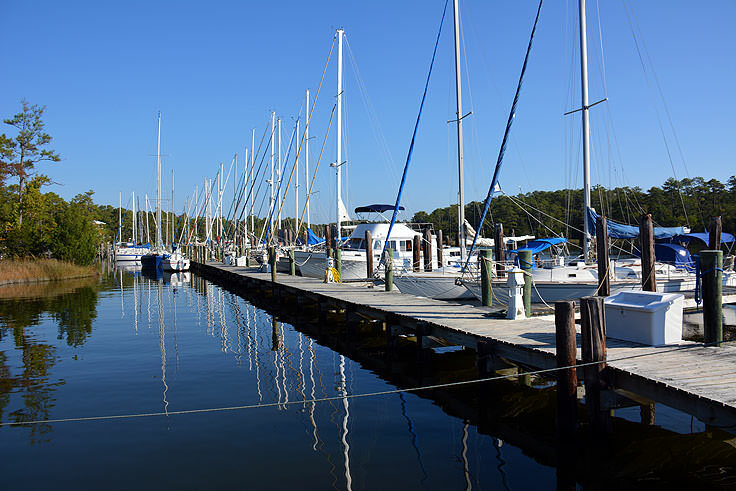 Visitors who want to dock for a few nights, or inquire about long-term slips available, can call the Whittaker Creek Yacht Harbor Marina directly before their stay at 252-670-3759. Warm weather and early fall mariners are advised to call well in advance, to ensure the availability of a slip for a night or two before their planned Inner Banks Stay. Essentially, Whittaker Creek Yacht Harbor Marina is a fantastic spot for folks passing through, or Oriental and Pamlico area locals who want to drop an anchor and stick around. 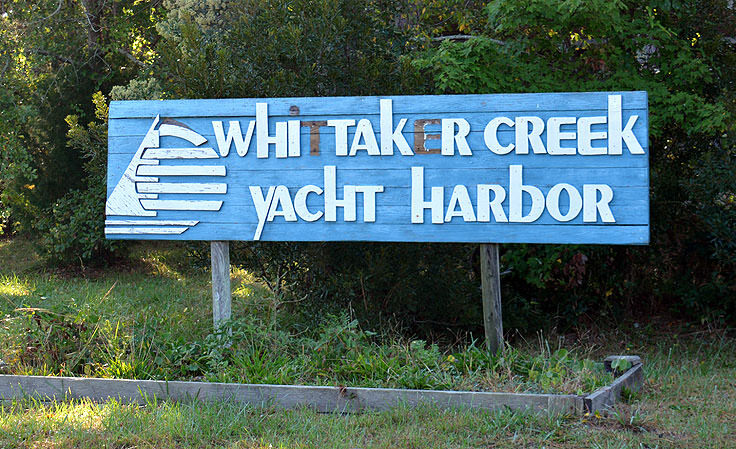 Offering unbeatable access to the Cape Lookout and southern Outer Banks regions, Whittaker Creek Yacht Harbor Marina is effectively a breezy cruise away from any North Carolina coastal exploration.